We went to Buffalo Wild Wings at Times Square last night to see UFC 184 (Ronda Rousey vs. Cat Zingano) after seeing Chicago nearby. We're lucky to be seated as soon as we got there and to be able to enjoy several matches before the main fight, which ended in 14 seconds won by R. Rousey which is the fastest record in UFC. 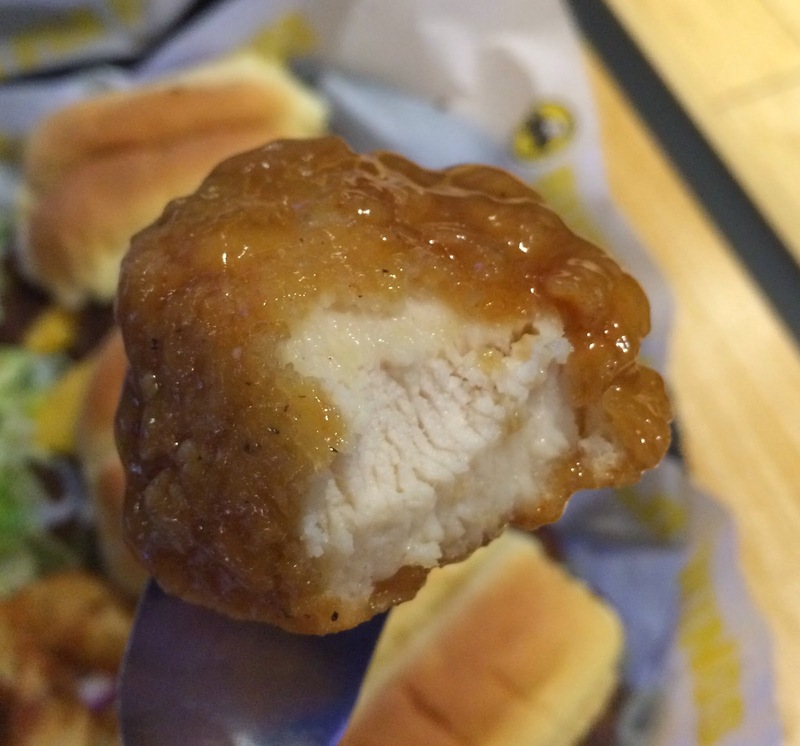 Another reason to have visited there was to try the newest limited flavor of B-Dubs Sauce Lab. 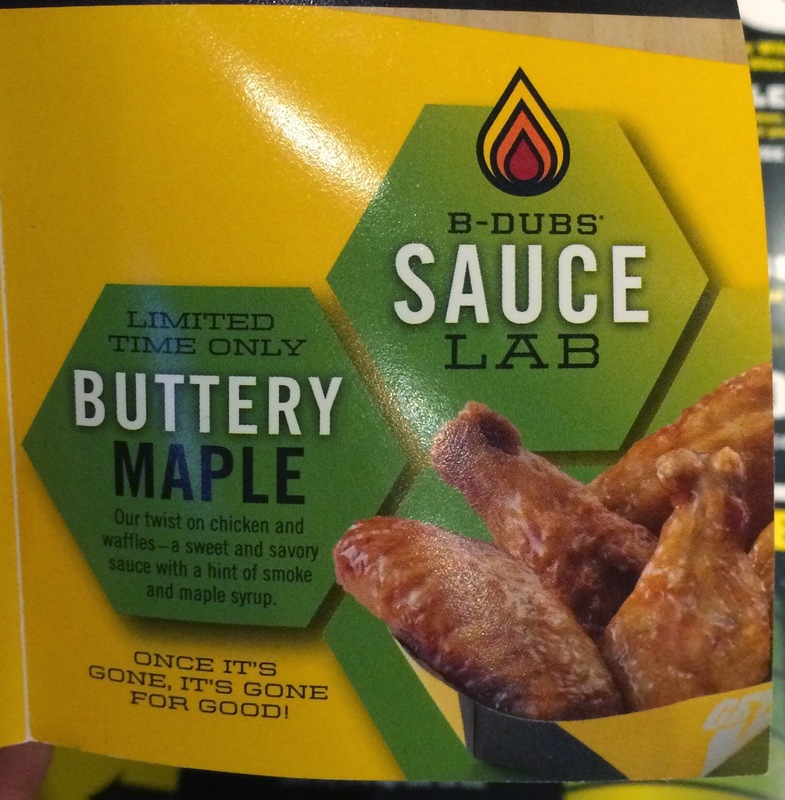 The flavor is "Buttery Maple" which is inspired by chicken and waffles. 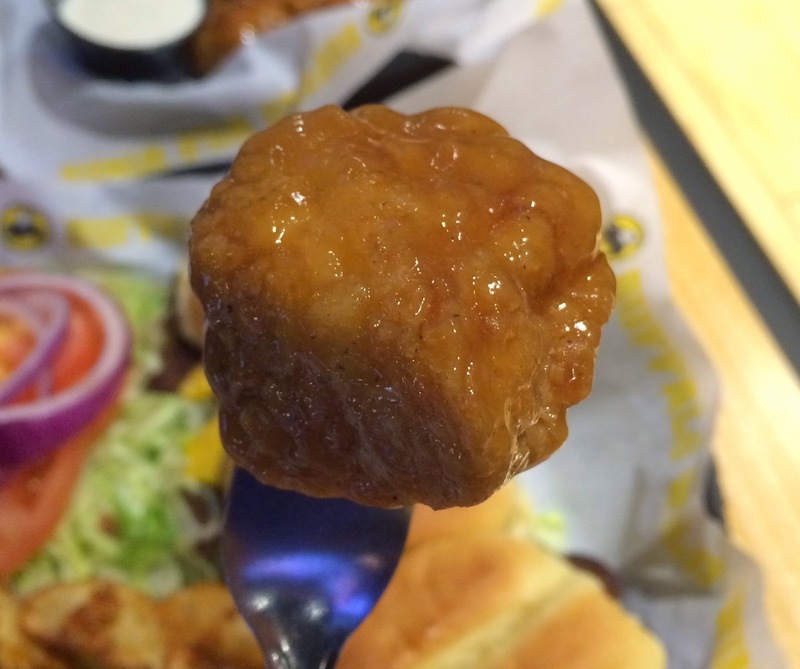 * B-Dubs is an abbreviation of Buffalo Wild Wings. At the restaurant, or at least the table we sat, didn't have any advertisement other than a section in a menu showing the flavor. On Facebook and Twitter, this flavor was introduced with a photo on February 9, 2015. When this plate was brought, we could smell very sweet and buttery flavor, but I didn't think of chicken & waffles but only maple syrup. 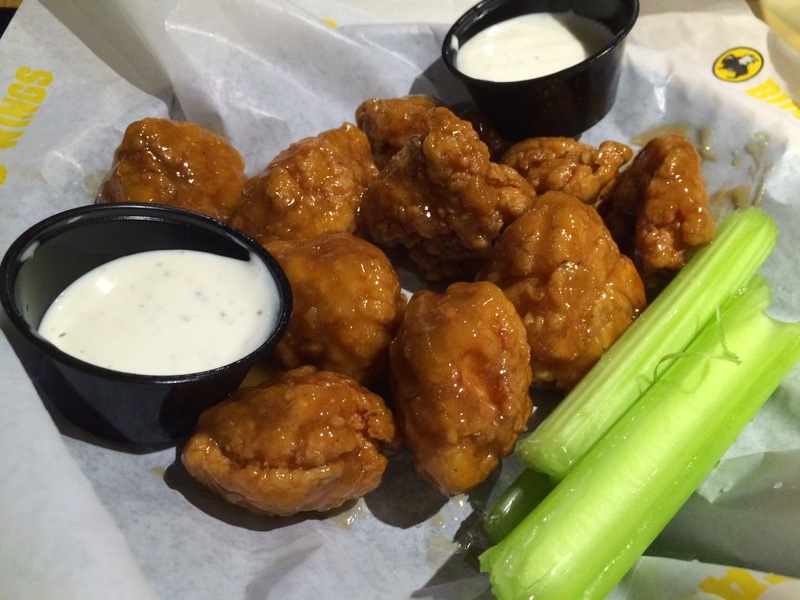 Like Smoldering Santa Fe, there're stickers "boneless," "limited time only" and "small." The sauce was very sticky and thick like maple syrup and honey, and it's buttery, maple-y, and super sweet. And when I swallowed, quite strong salty taste came out. This flavor made me really thirsty and had rich and well-seasoned flavor. It's white meat, of course, but the texture was much better than the last time when we had Smoldering Santa Fe, which had way too soft texture instead of the characteristic tough and firm texture. I dipped in the ranch sauce that was served with, but it just added weird sourness and more creaminess and it was far from good. It's not bad, but as we usually order spicy flavors (my favorite is Mango Habanero), it's just too sweet.